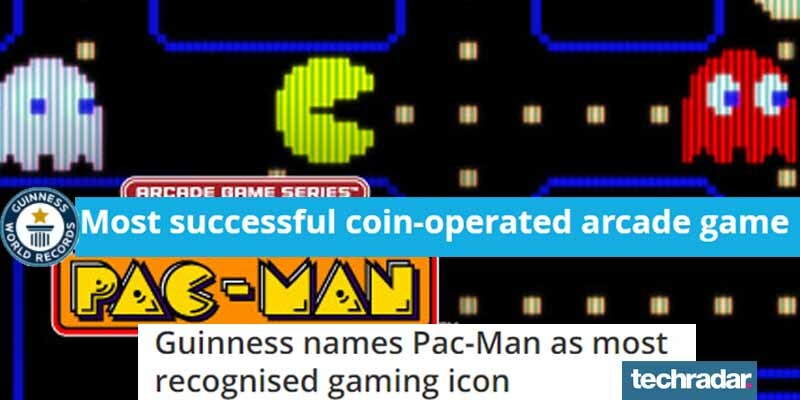 Pac-Man holds two Guinness World Records. One for Most Recognizable Video Game Character and one for Most Successful Coin-Operated Arcade Game. Some GWRs tied to it include “Largest Re-Enactment Of Pac-Man,” “Largest Human Image Of Pac-Man,” and Billy Mitchell’s infamous perfect game.